Are you looking for the perfect Holiday Gift to give to a loved one? Look no further! We've listed our top 5 gifts for the Holiday 2017 Season! Our collection of Bangles keeps growing! Choose from various sports, occupations, holiday symbols and more! Shop all of our Bangles here! The "Apple" Bangle is perfect for any teacher! | Shop here! We know it's a little late in the Season to think about holiday decorations, but this piece will be sure to last them a lifetime! Who else do you know has a Christmas Ornament made with Swarovski crystals? Choose from our Teardrop, Wreath and Snowflake. Shop all of our ornaments here! 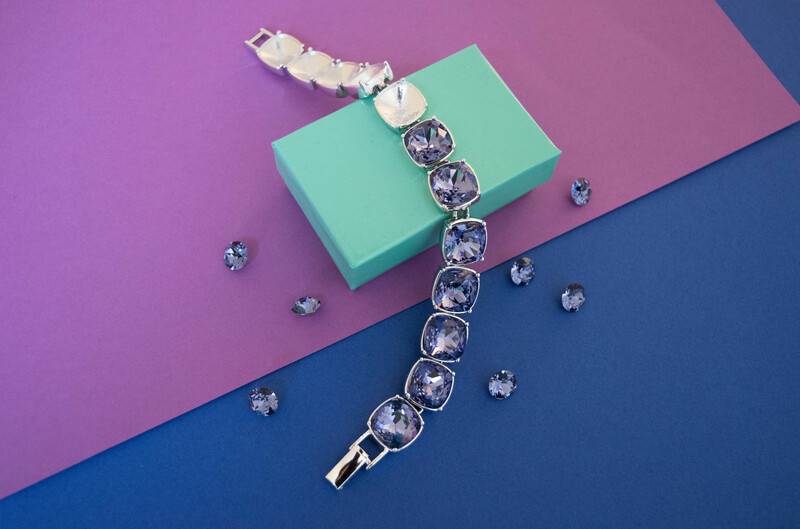 Give something unique and personal to the one you love with Birthstone Jewelry! We suggest making a statement piece or a matching set with these stones. Find their birth month and Swarovski stone down below! *We also offer an 8.5mm Birthstone Mixed Color Assortment where you will receive three pieces of each 8.5mm Swarovski stone associated with each month! See the 8.5mm (39ss) Birthstone Mixed Color Assortment here! Are you obsessed with Stranger Things as much as we are? The new Netflix hit has everyone talking and will make the perfect gift for fans! Choose from the Demogorgon (bottom) or Eleven Bracelet (top) here! Know someone who is looking to start designing jewelry but needs an introduction? Our NEW 8.5mm (39ss) Starter Kit will do just that an won't break the bank (at only $20)! You'll learn how easy it is to make a Bracelet and matching Earrings with our instructions and videos on our YouTube channel. Shop our Starter Kit here! Don't forget our tools!